Prof. Roberto Di Cosmo, visiting Turin for a talk on the industry of free software in two separate meetings, will also hold a seminar entitled: " Building the Universal Software Archive for Open Science" at the Department of Control and Computer Engineering (DAUIN) of The Politecnico of Turin. Software is at the heart of our digital society and embodies a growing part of our scientific, technical and organisational knowledge. The mission of Software Heritage is to ensure that this precious body of knowledge will be preserved over time and made available to all. We do this for multiple reasons. To preserve the scientific and technological knowledge embedded in software source code, that is a precious part of our heritage. To allow better software development and reuse for society and industry, by building the largest and open software knowledge database, enabling the development of a broad range of value added applications. And we do this in particular to foster better science, by assembling the largest curated archive for software research, and building the infrastructure for preserving and sharing research software, a necessary complement to Open Access and a stepping stone for reproducibility. Scarica la versione PDF della presentazione del Prof. Roberto Di Cosmo. Roberto Di Cosmo, after obtaining a PhD in Computer Science at the University of Pisa, was associate professor for almost a decade at Ecole Normale Supérieure in Paris, and became a Computer Science full professor at University Paris Diderot in 1999. He is currently on leave at Inria. He has been actively involved in research in theoretical computing, specifically in functional programming, parallel and distributed programming, the semantics of programming languages, type systems, rewriting and linear logic. His main focus is now on the new scientific problems posed by the general adoption of Free Software, with a particular focus on static analysis of large software collections, that were at the core of the european reseach project Mancoosi. Following the evolution of our society under the impact of IT with great interest, he is a long term Free Software advocate, contributing to its adoption since 1998 with the best-seller Hijacking the world, seminars, articles and software. 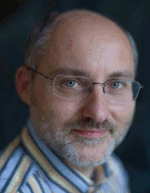 He created the Free Software thematic group of Systematic in October 2007, and since 2010 he is director of IRILL, a research structure dedicated to Free and Open Source Software quality. In 2016, he co-founded and directs Software Heritage, an initiative to build the universal archive of all the source code publicly available.